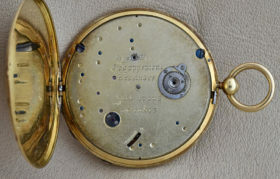 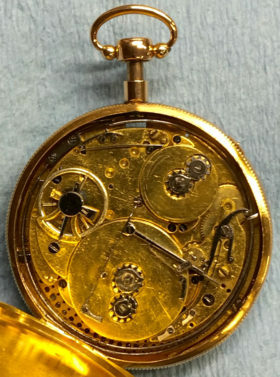 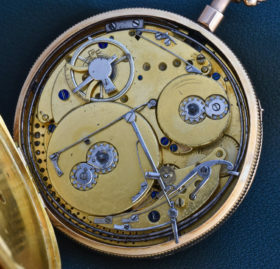 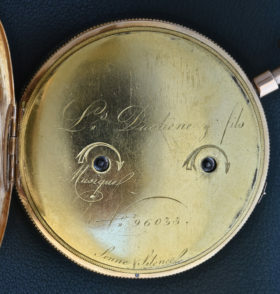 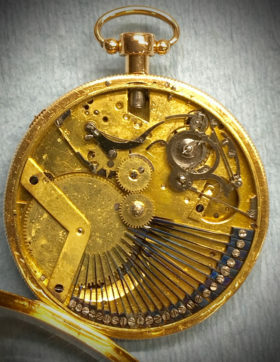 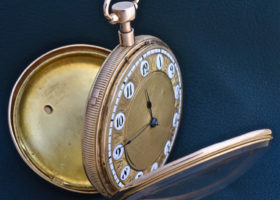 A clockmaking marvel, this French pocket watch boasts a repeater complication which allows the watch to audibly chime on the quarter hours, and houses a key wind Sur Plauteau movement signed LS Duchene & Fils #96035. 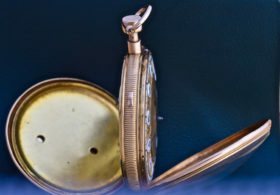 The case is crafted of 18K yellow gold and is accented with mesmerizing engine turned engraving on the back and dial center. 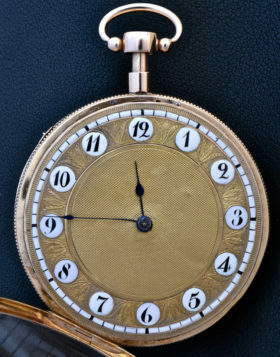 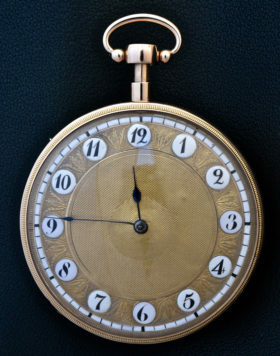 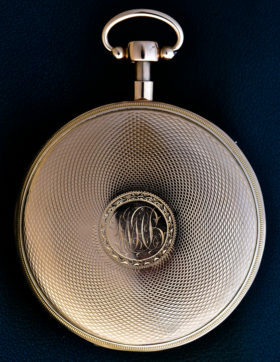 The dial features porcelain cartouche numerals and a bulls eye crystal.